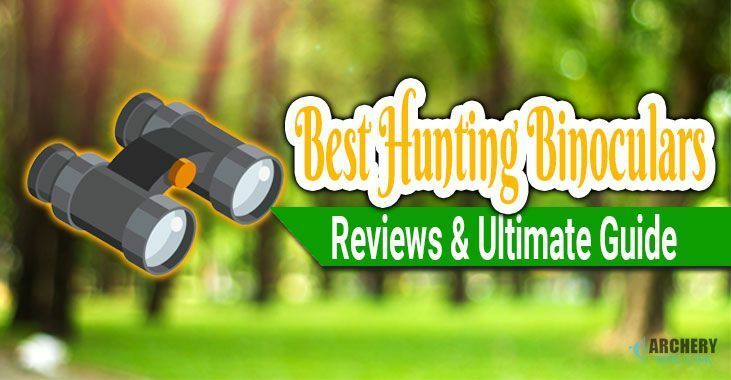 In this guide, you will be shared some best hunting binoculars with detailed reviews. If you wondering what to look for when buying binoculars for hunting deer or elk, the answer can be found in section 2 below. What is the Size of the Objective Lenses? What’s the Field of View (FOV)? If you want a sturdy pair of high functional hunting binos, the Leica Ultravid is one of the best models you can find on the market today. The durability of this product can’t be overstated but despite that, it’s not bulky like a lot of competitors, and it doesn’t skimp on functionality either. The magnification and lens size that this model offers are more or less standard on the market these days – 8x magnification with lenses of 42mm in diameter. However, the lenses are made out of high-quality SCHOTT glass with great transmission characteristics so eye-strain is reduced to a minimum, and light absorption is as high as 92%, so it performs well even in extremely low lighting. Here is our best low light binoculars for hunting. When you want to get a sturdy pair of binoculars for hunting you will consistently come across one problem – the sturdiest models are also incredibly heavy and bulky. Here, that’s not the case. The body of these binos is made out of u﻿ltra-lightweight ﻿﻿magnesium which makes them a great companion for long fishing or hunting trips. At the same time, shock-absorbent armoring protects them from impact damage. They also have a protective coating, shielding them from water or dirt damage. The FOV on the Leica Ultravid is more than satisfactory for its 8x42 specifications. It measures up at 389 feet at 1000 yards, making it more than well-suited for hunting in the open plains and tracking fast prey. Wondering what FOV is and why it's important? Don't worry, I'll explain details in 'how to choose' section below. If you want a pair of best affordable binoculars for hunting that’s good all-around - the Zeiss Conquest is probably your best bet. They can function in almost any conditions, and they have exceptional specs, especially when you consider the price. This pair of binoculars features a standard type of magnification for hunting of 10x and a lens size of 42mm. The lenses are made out of good, high-quality glass and absorb up to 90% of all light, so they perform great in most conditions. This is one of the standout features of these binos since the FOV is 377 feet at 1000 yards, far more than what you get with most 10x42 binoculars. If you’re hunting in open space or need to track fast prey, these are the binoculars you should get. For the most part, the durability here is good. The binoculars feel solid, and they are resistant to water and dirt damage. Moreover, they don’t weight too much, only 28 ounces in total. However, while they are durable on the whole, some parts are of questionable quality. The eye cups are extremely flimsy, and they seem to break for no reason whatsoever. Other than that, some of the products have been known to have factory defects like misalignments. Luckily, you can just call the company and they’ll give you a replacement for the faulty product, no questions asked. If you want a quality pair of binoculars that perform great in low-lighting conditions, the Swarovski EL is a product you will love. The “EL” stands for “exceptionally light,” and that’s completely true. It also comes with a good set of extras making it a high-value package. Frankly, this is the best long range binoculars for hunting in my list. With a magnification of 10x and lenses that are 42mm in diameter, this is a fairly standard pair of hunting binoculars. Where they stand out is their great light absorption rate of 90% along with the high quality of the lens glass, making them sharp and comfortable. They perform exceptionally well in less-than-optimal lighting conditions. The image is also exceptionally clear no matter the conditions. The field of view at 1000 yards is around 336 feet, which is about average for 10x42 binoculars. If you want something with more FOV than that, you’re going to have to look elsewhere, but it’s not bad by any means. These binoculars are more than sturdy enough and are made out of quality materials. Even if something does break, which is unlikely, the warranty has you covered lifetime for the lenses and ten years for everything else. If you’re on a budget, the Vortex Optics Viper is one of the best binoculars for the money you could buy. They are durable, perform well and are easy to use for almost anyone. With a magnification of 10x, these binoculars are well-suited for long distances and open spaces, though the clarity of the image might drop off at extremely long distances. The lenses are 42mm and made to be of high quality. They are durable and resistant to scratches and perform well in all kinds of different conditions. The HD optical system in them ensures that the image is clear. Sadly, the FOV is only 319 feet at 1000 yards, which is well below average. Because of this, you might struggle when using these binoculars in extremely wide open spaces. Try to stick to short-range hunting and spotting with them. With a low price compared to others, you would usually expect a shoddy product, but this is definitely not one. For an excellent price, you get a sturdy piece of kit that won’t fail you in a pinch. Are you hunting in wide-open spaces and desolate plains? Well, in that case, the Nikon 7548 MONARCH 7 will be the best compact binoculars for hunting you can have. With the incredibly wide FOV these binoculars offer, you will never miss a catch again. This is a standard pair of 8x42 binoculars, and the image stays consistently clear even at longer distances. The Dielectric High-Reflective Multilayer Prism Coatings applied to the lenses help with image clarity and make the colors true to life. 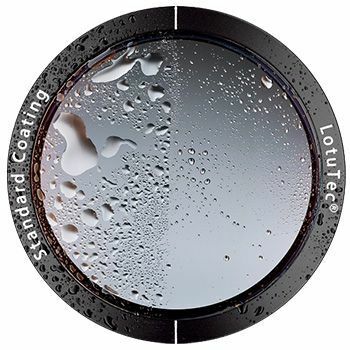 The lenses will stay clear in any condition, and they are highly durable. The real standout feature of these binoculars is the incredibly high FOV of 420 feet at 1000 yards, making it one of the best ones in its class. If you have trouble spotting game at long distances, this pair of binoculars will help you find the elk or deer that you’re looking for before it gets away. Even if you’re hunting fast prey through the woods, they will be incredibly helpful. At this point of checking the price, it’s quite affordable considering the market. For it, you still get a carrying case and lens protectors with it, making it a great deal. Despite what you may think, these binoculars are also fairly durable. However, make sure not to dip them in water since their waterproofing is poor and you most likely won’t be able to get the warranty accepted. If you’re looking for a secondary pair of binoculars with a wider FOV, the Bushnell Legend Ultra HD will probably fit your needs. They come at an extremely affordable price so they’re great if you need something you’ll use only occasionally. These binoculars feature 10x magnification with lenses that are 42mm wide. The optical quality is exceptional, and the clarity is good even at longer distances. With 340 feet at 1000 yards, these binoculars do not feature the widest FOV in their class, but they are certainly above average. This is what makes them especially helpful for western-style hunting. These are exceptionally light binoculars, and they come at an extremely affordable price. They’re great for entry level hunters or those looking for a secondary pair to complement their lower-FOV main pair. They also come with a great carrying case. Sadly, they aren’t. Expect them to break fairly quickly, though they may last for a few years of light use. Luckily, they come with a lifetime ‘no questions asked’ warranty that the manufacturer follows up on. If you’re a beginner looking for your first pair of binoculars, the Leupold 119197 BX-1 is a good pair. While they are not exceptional, they are good enough and won't’ break your wallet in half, so it’s okay even if you make mistakes while using them. These binoculars are 8x42, quite standard for a pair of hunting binoculars. The magnification is fine though the image might be a bit blurry at longer distances. The lenses also have poor light absorption, so they don’t perform well in darker environments and you might strain your eyes. For their class, these binoculars have one of the narrowest FOVs you can find. If you don’t need to engage in hunting and spotting on wide open hunting grounds, they might perform fine, but you might miss some game while using them. They are light and easy to carry, but that’s because they are made of slightly flimsier materials. They are still surprisingly sturdy for the price, and the waterproofing is fine, but something will break in a year or two, even if you rarely use them. When it comes to the magnification, bigger isn’t always better, and you need to know the range at which you intend to hun﻿t to get the best binoculars for hunting deer. If the magnification is not high enough, you’ll end up not seeing the elk you’re hunting properly and in time. However, if it’s too high you might have a pair of hunting binoculars that require a tripod to steady and have a narrow FOV. 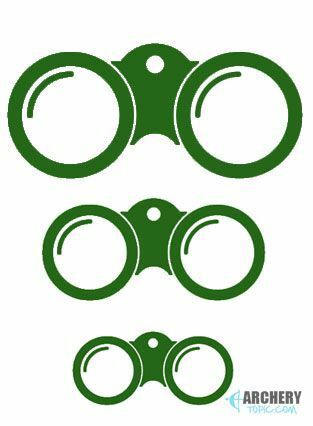 For hunting in the woods or hunting faster deer, you will need binoculars with smaller magnification, 6x to 8x would be ideal. You will be able to have a wide field of view to track your pray easily, and trees won’t block your view too much. Hunting in the plains, the mountains, the desert or other open spaces that need you to observe from long distances requires larger magnification. 10x magnification or preferably more is a good choice here. This will allow you to spot the deer long before it can spot you. 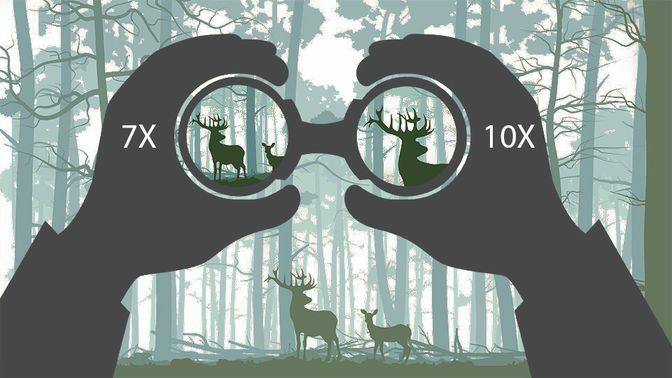 If you’re unsure about which magnification you need, pick one between 7x and 10x since that will fit most hunters. Don’t pick binoculars with too many superfluous since most of them lack certain essential features like waterproofing and can be too heavy. 10x magnification is not a significant upgrade over 7x though lots of hunters are under the impression that it is. 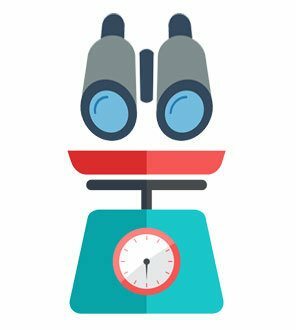 The size of the objective is the next most important thing to consider after the magnification, which is why you’ll see it right next to it in most product descriptions. For example, 10x42 means that a pair of binoculars has 10x magnification with a 42mm objective lens. The size of the lens affects how much details you can see, especially at longer distances. Larger lenses also collect more light, so they offer better visibility in darker conditions. However, larger lenses are exponentially more expensive and make the binoculars heavier. Most standard binoculars have lenses that are either 40 or 42mm in diameter which is a good choice for most hunters. If you’re a twilight or early morning hunter, you might want to go for something larger and closer to 50mm in diameter. 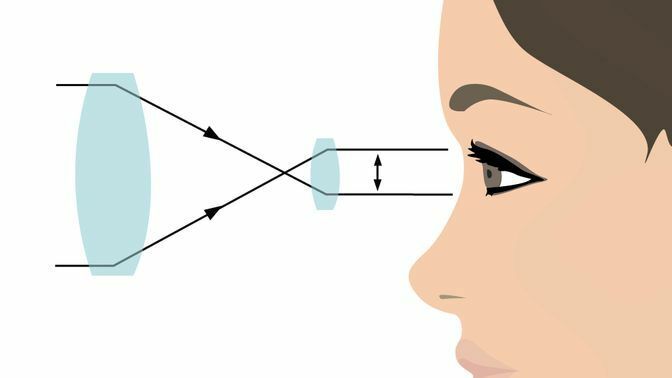 A larger exit pupil is also important here, since it will allow the binoculars to absorb more light and focus it better into your eyes. So, even if the lenses are the same size, the binoculars with a larger exit pupil will win out in low light conditions. Typically it’s equal to Lens Diameter divided by Magnification. 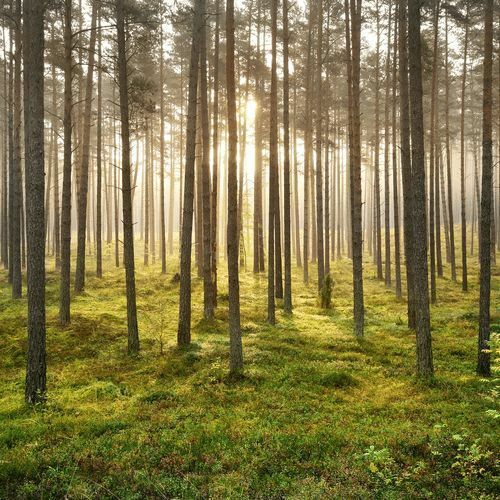 If you happen to be hunting in areas with plenty of sunshine, smaller lenses might be a good idea, since they will collect less light and you’ll see a bit more clearly, though with less detail. In that case, lenses of 32 to 36mm will be good – they’re also good if you want more portability. 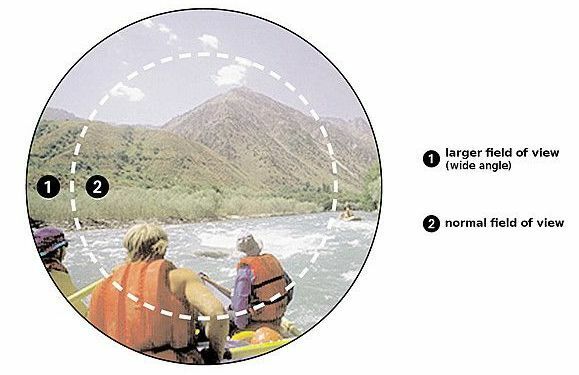 Avoid Lenses that are less than 30mm in diameter – you won’t be able to see almost any details with them, and they are practically useless for hunting. 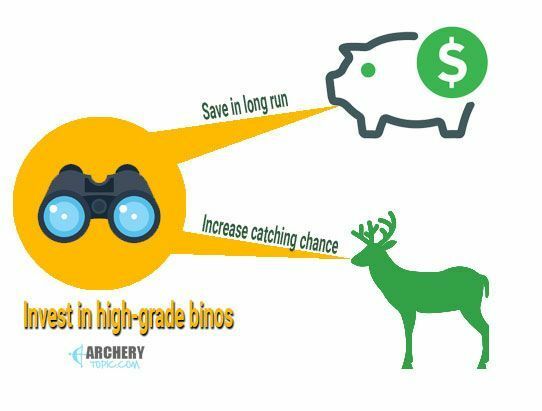 As mentioned before, your hunting grounds and your prey will greatly impact the choice of your best hunting binoculars. If you’re hunting in the woods where your vision will be limited to around 100 yards, going for 7x or 8x magnification will be enough. 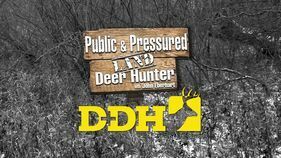 If the woods you happen to hunt in are exceptionally thick, you might even want to go for less than that. Field edges are also popular spaces for hunting, and there you will need some more magnification but not too much – you still need a good FOV to see faster prey. Somewhere around 10x magnification will do in those cases. For western hunting in the open plains, you will want to go for even more than 10x magnification and maybe even a tripod to keep your binoculars steady. The weight of the equipment will not be that much of a problem since you’ll probably spend hours trying to spot bedded elk or deer instead of moving quickly. When you’re hunting, each ounce of weight matters and your gear should be as light as possible. This is especially true if you’re a bow hunter and you need to move quickly and climb up trees while also using your binoculars one-handed with your bow in the other hand. Because of this, larger binoculars with a ton of extra features or a magnification higher than 10x and lenses of 50mm or more are not a good option. They can be exceptionally weighty and might require a tripod unless your hands are steadier than a rock. At such high magnifications, even minimal shaking is exponentially amplified. No matter where you’re hunting though, even if you’re going to the wide open plains, you should always try to shave off as much weight from your gear as possible. Of course, don’t sacrifice the functionality you find necessary, but if you can choose between two 10x pairs of binoculars and one is slightly lighter than other, you might want to go for that one. I already mentioned FOV, which is short for Field of View, but what is it exactly? Well, it is the wideness of the visible area with your binoculars, usually expressed in specs as FOV at 1000 yards. The larger the number is, the higher the field view. As magnification increases, the field of view will naturally decrease. Generally speaking, if you’re hunting in wide-open areas, you will want binoculars with a wider FOV so you can track your prey better. Wider FOV is also ideal for fast-moving prey, like rabbits for example. However, you probably don’t need wider FOV for slow prey like elk, even in open areas. For most hunters, the standard FOV offered in most 8x40 or 10x42 binoculars will be more than enough, which is around 330 feet at 1000 yards. 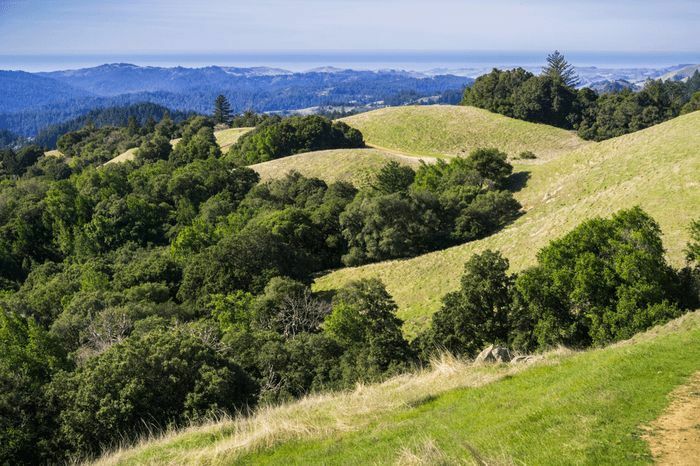 I’m aware that not everyone has an unlimited amount of money to spend on hunting as some high-grade hunting enthusiasts do. Because of this, you might be looking for a good deal on equipment that’s mostly considered ‘non-essential,’ like binoculars, while spending almost all your money on buying and maintaining a rifle or a bow. Well, binoculars are more essential than you might think – and without investing in a good pair, you might lose more than 50% of your prey. With binoculars, you get exactly what you pay for, and cheaper products are liable to fail you when you need them the most. Then you’ll just have to buy another pair, and another one and the cost will mount up. In the long run, you’re saving money by buying a more expensive pair. But, should you spend as much on a pair of binoculars as you would on a hunting gun or bow? Well, I would say yes to that! You need to be prepared, and a pair of binoculars will go a long way to improving your opportunities to catch a deer. After all, a good hunter should be looking through binoculars most of the time during their hunts. Since you will be spending so much time looking through your binoculars, eye strain becomes a real issue. The cheaper the materials used in the lenses are, the more they will strain your eyes. You need binoculars that you will be able to use comfortably for hours, without your eyes hurting afterward. If you’re hunting at night or in low light conditions, this is even more important. 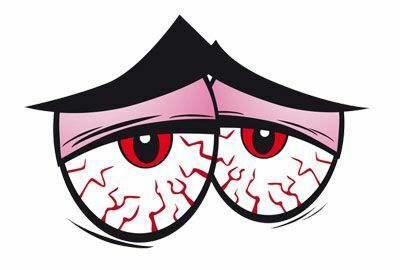 Your eyes will be strained already, and bad-quality lenses will gather less light than usual – those two things combined are bound to cause eye pain and damage. Overall, it just doesn’t pay off to buy cheap binoculars – go for the best quality even if it means you have to spend a lot of money a little bit to get it. No matter how good the product is, you probably shouldn’t buy it if the company selling it is riddled with bad business practices. You should always make sure you’re protected as a consumer and that you’re getting the best. For example, even if the product is good you still want it to be covered by extensive warranties. That thousand-dollar piece of kit might work great for the first few months, but it could break unexpectedly, and if the warranty didn’t extend past three months, your wallet will take a hit, rather than your prey. It’s recommended that you find a product covered by a lifetime warranty. 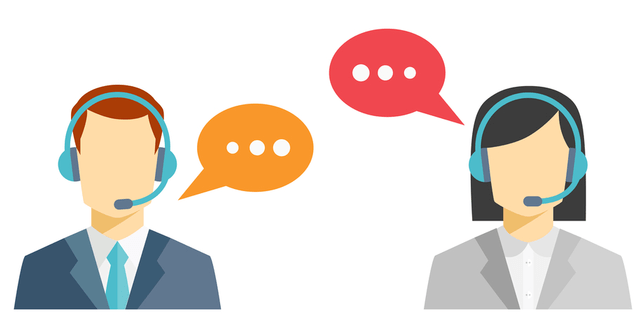 You also want to make sure that the company is respectful of their customers and offers good support. If they offer good warranties on paper but refuse to follow up on them or won’t provide refunds when they ought to – lost shipments. For example: you shouldn’t do business with them no matter how good their products are. I hope I’ve managed to help you choose good binoculars for hunting and that my reviews of the best binocular brands on the market. If you want to buy one of the products we reviewed but aren’t sure which one to choose, I’ll tell you my favorite out of all them – it’s the Zeiss 10x42 Conquest HD Binocular with LotuTec Protective Coating. These binoculars are most certainly worth the price, and they’re just the best ones all-around. They have great lenses and an incredibly wide FOV that is not found in most other binoculars out there, making them a standout choice for those who hunt in the open space. If you have another best hunting binoculars, don't hesitate to share with us. See this article helpful to you? Feel free to comment or share it around. See you next time!